Football – no matter the code – is more than just professional athletes kicking a ball around a field. It’s sweat, blood and tears from a passionate fan following. Every year, when Footy and League season begins Down Under, fans of the sports prepare to cheer on their favorite teams, either by heading to the stadium or watching every game on free-to-air television. For audiences outside of Australia, New Zealand and the Pacific Islands, though, there has been no easy way to keep up with every try and scrum… until now. Watch AFL and Watch NRL are two subscription-based international streaming services that offer audiences globally the opportunity to enjoy every match during Premiership season live or on-demand. Both streaming services can be subscribed to either within Australia or anywhere else in the world via the respective websites, but it must be noted that the content available on both services is only viewable outside of Australia. For Aussies, this means it's a great idea to sign up for a week or a month if you know you'll be out of the country during some of the season's crucial games. Subscribers also get live access to the dedicated Fox Footy and League channels to keep you updated on all the latest news, analysis and related entertainment shows available on those channels. Annual: US$149 / £125 / €149 / AU$189. Watch AFL also includes all the women's matches from the AFL Women's league as well. While both services can be streamed on a browser of choice, they also have their dedicated Android and iOS apps, and can be cast to a TV via AirPlay or Google Chromecast. There is also an Apple TV app for both services available to download via the App Store, but an Android TV app is currently unavailable. 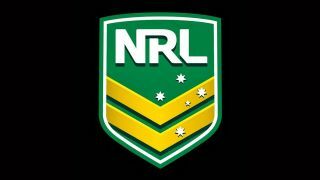 If you’re a footy fan, then all you need is a Watch AFL subscription, but if you prefer League, then sign up for the Watch NRL service. If you are a fan of both formats of the game, then you’ll need subscription plans for both services as signing up for one won’t give you access to the other. Subscribing is as easy as heading to the Watch AFL and Watch NRL websites, choosing a plan and setting up an account, and while the subscription renews automatically, you're free to cancel any time. You can start streaming immediately as long as you’re outside Australia – no VPN needed.